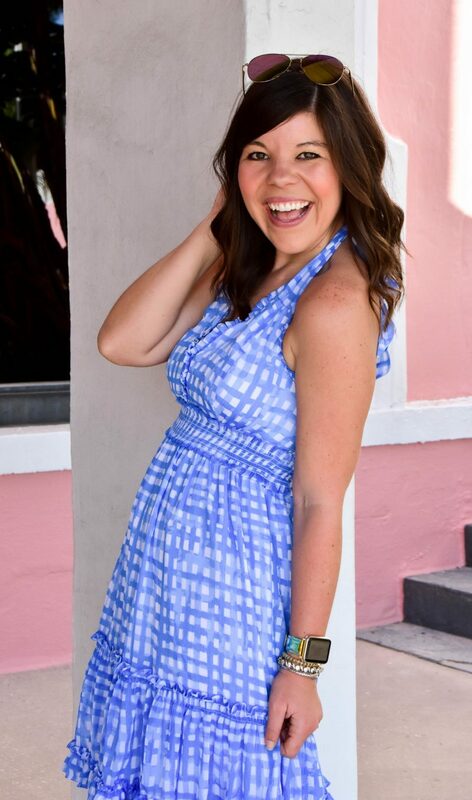 I can’t believe it is Monday already- it seems like this weekend went by way too fast! I’m so excited that today I start my new role as an Assistant Buyer- it’s going to be a really exciting new adventure and I can’t wait to learn all that it entails! I thought today was the perfect days to talk about a few “one-off” ideas- simple things that I do around my house to help keep it a little more organized and put together. I love cooking and trying new recipes, and I am also an old-fashioned girl that still loves cookbooks and recipe cards (tips on that coming soon). 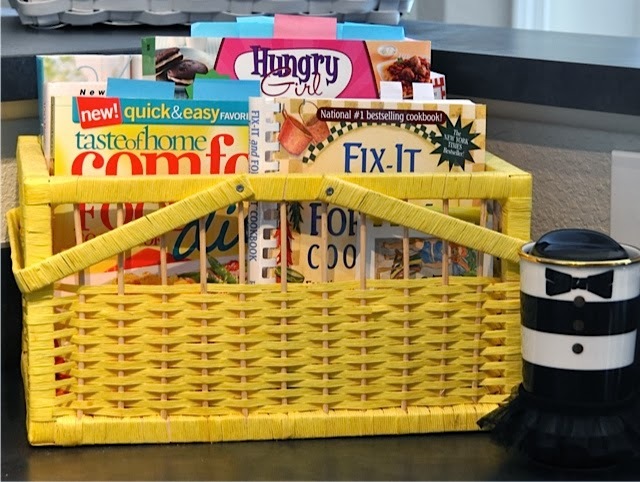 To keep my cookbooks organized my mom found me this cheery yellow basket that I keep on my counter so my books are always within reach. This is the perfect way to add color and a personal touch to my kitchen. 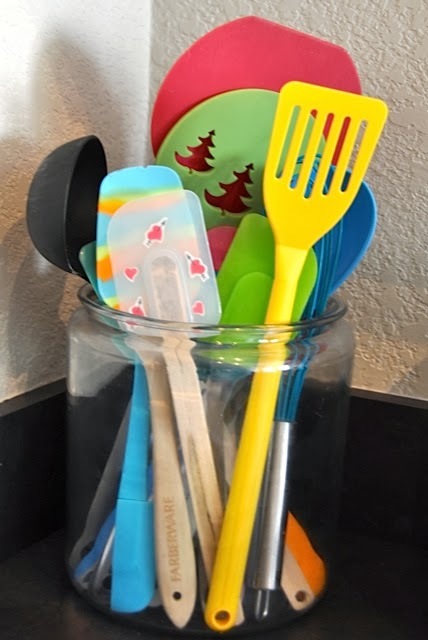 Do you have all those oversized utensils that don’t easily fit in a drawer? Or just serving ware that you want to have within reach at all times? Well I had both those things and to keep my kitchen bright I also wanted to display them in a cute way. I found this oversized glass jar at Wal-Mart of all places and it was the perfect way to display all my cooking odds and ends! My bestie Asha got me hooked on using koozies and my collection has now grown quite large. I wanted to leave them out so guests could easily use them when they came over, but I also wanted them to be tucked into place. 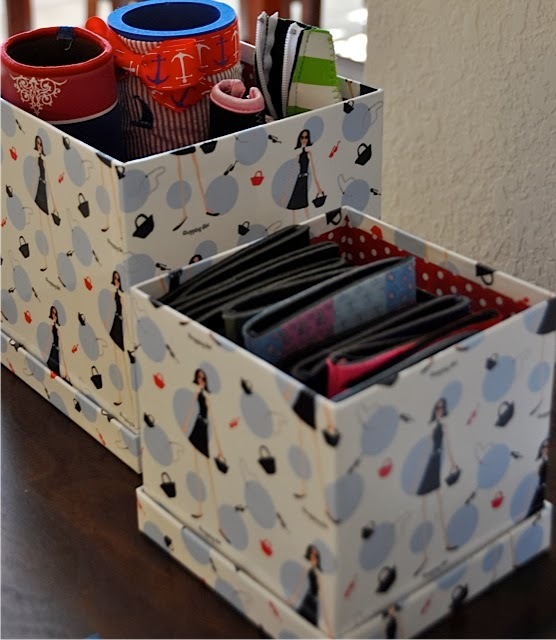 These cute little storage boxes were the perfect solution! I have the koozies all lines up inside, and I display them on my side table near my kitchen- I think this again adds a great personal touch to my space! Hope these tips have given you some ideas to start your week off on an organized foot! One can find a million recipes (probably more!) on the internet, and that is a GREAT resource. But something about a cookbook collection is homey and personal. And it doesn't have to be a library. 🙂 TYJ………. Love the bright basket display!